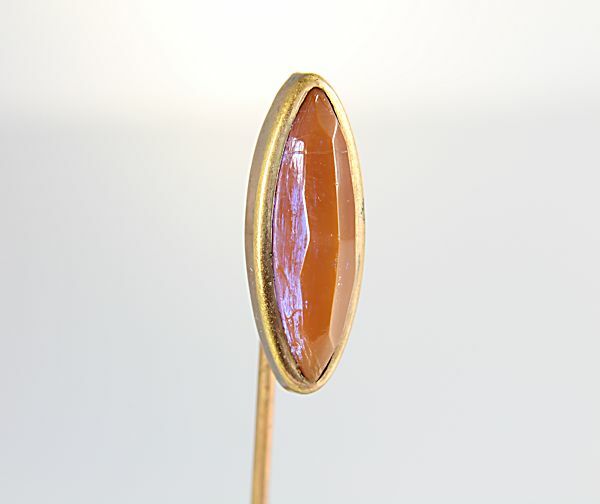 Beautiful antique Victorian stick pin displaying a faceted saphiret stone. Setting is simple, perfect to showcase the glass which has a sleek, elongated shape. Stone has a mocha brownish color when looked at straight on but the veil is present when light hits it. 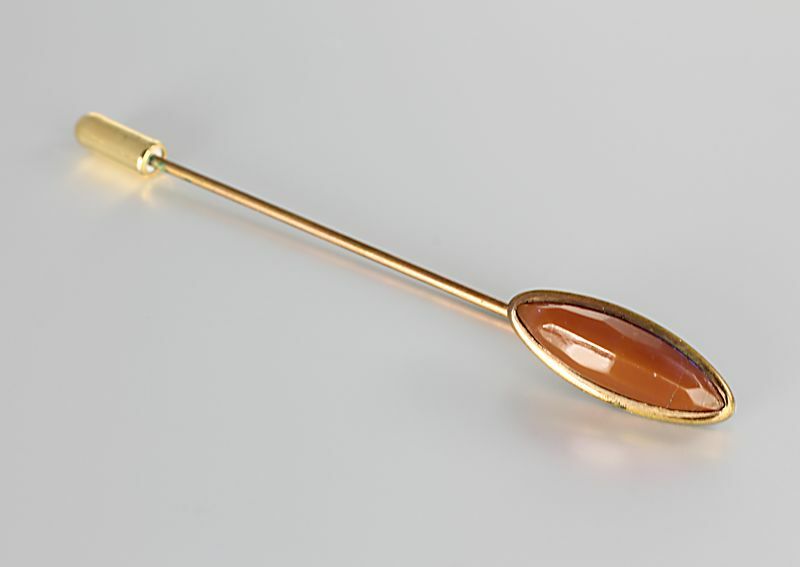 Head of the pin measures 13/16 inches by 5/16 inches and the entire length of the pin is 2 11/16 inches. The bottom finding is a newer piece. Glass has some very fine crazing lines which are not visible unless very closely inspected . The line at the top is not crazing but a molding line. 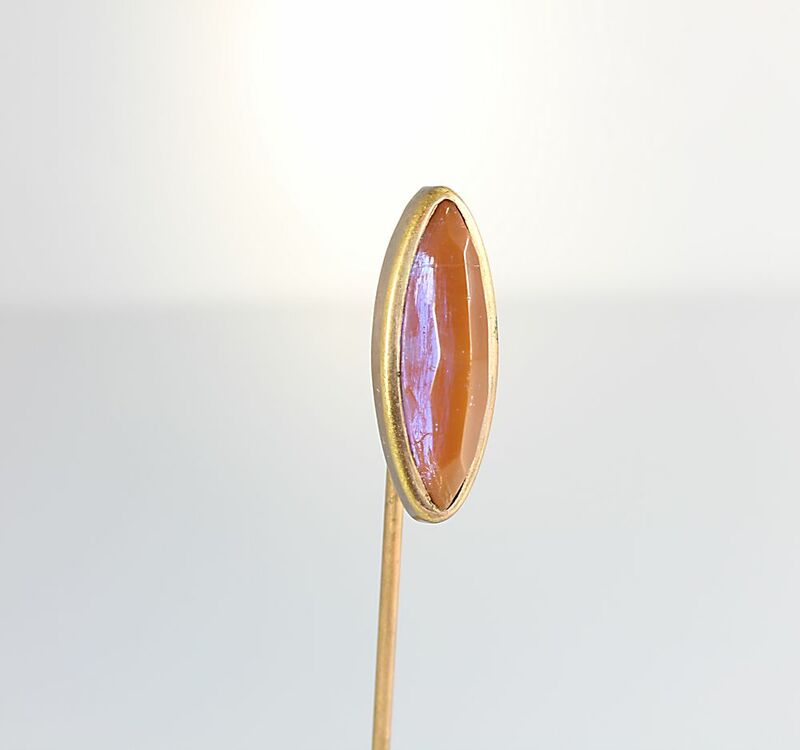 Stone is very stable and the pin is in overall very good vintage condition. Circa early 1900s.